Major Catholic ebook sale next week! 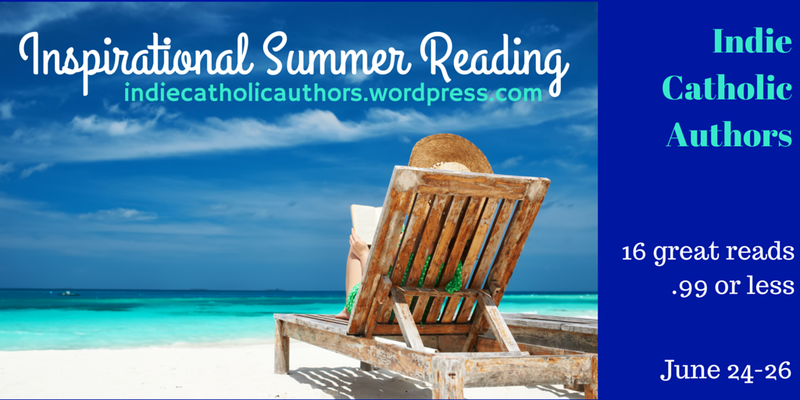 Fifteen members of Indie Catholic Authors are hosting a sale of their ebooks from June 24-26. All books are sale priced at $0.99 or less. You can buy a whole new library for less than $15! Among the titles, readers will find spirituality, memoir, fiction, a children’s book, and a collection of short stories. The books are available for Kindle, Nook, and iBooks. Some are also available in paperback and audiobook (although those formats are not discounted at this time). See our new blog header for individual titles. This is our first joint sale that focuses exclusively on ebooks. Could you help us spread the word by joining our Thunderclap campaign? Sign up to have an automatic tweet, Facebook or Tumbler post on the 24th at noon. We need at least 100 participants to blast social media with our message. Click here to help. Thanks! Join us on Facebook to chat with authors throughout the day. We’ll also have giveaways (on both Facebook and here at our blog) from authors Connie Rossini, Marianne Sciucco, Ellen Gable, Jeannie Ewing, and John Paul Wohlscheid. We can’t wait to see you there! Previous Post5 Books You May Have Missed for Alzheimer Awareness MonthNext PostBeyond the Bestsellers: 3-day ebook sale! Pingback: Major Catholic ebook sale next week! | I Thirst for Your Love!